After tossing countless empty toilet paper rolls into the recycling bin, we decided to upcycle them into new objects. First on our list, recycled toilet paper roll race cars. 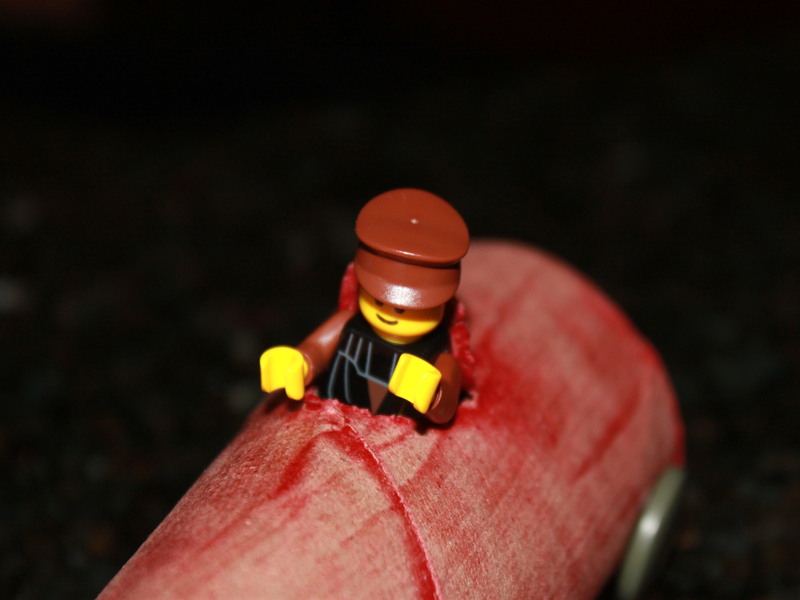 My son's first idea was that they needed to be designed to fit a <a href="http://www.inhabitots.com/lego-minifigs-get-a-bad-boy-makeover/">LEGO mini-figure</a> at the wheel. What we discovered is <a href="http://www.inhabitots.com/new-green-toys-race-cars-are-eco-friendly-vehicles/">race cars</a> are fun no matter what - even if they're made from items from the recycling bin. Read on to learn how to make these simple recycled race cars today. 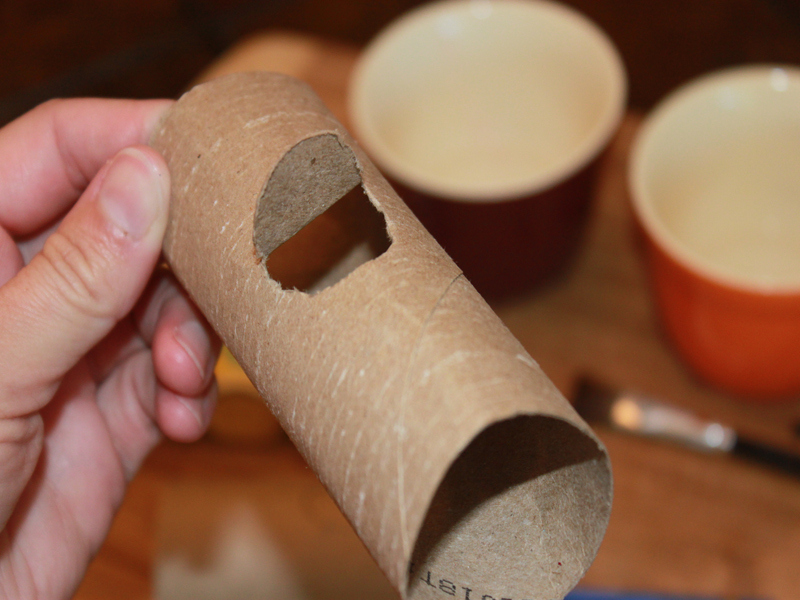 <h2>Step 1: Cut It!</h2> Using your craft knife or scissors, cut an oblong half circle in the middle of the paper tube. <h2>Step 2: Make a Seat!</h2> Then, fold it back to look like the back of the car seat. 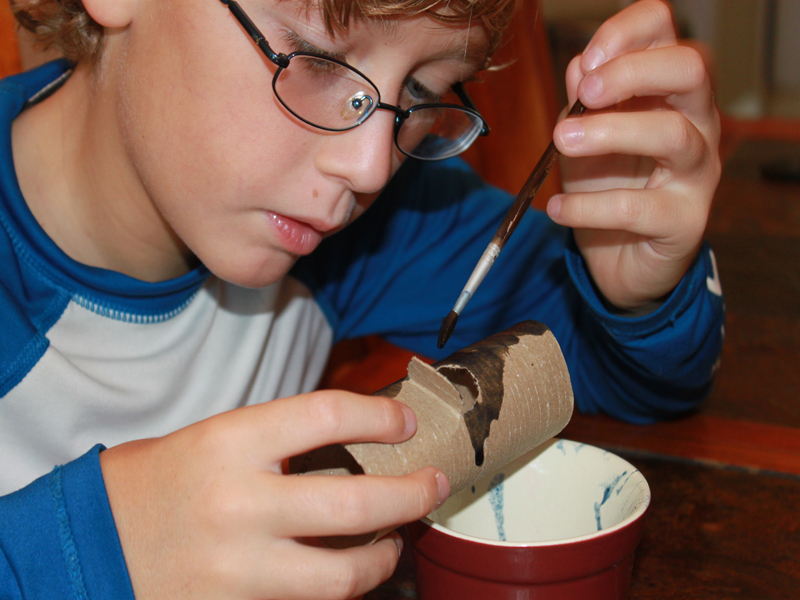 <h2>Step 3: Paint It!</h2> Use eco-friendly paints (we used our <a href="http://www.inhabitots.com/how-to-summer-leaf-prints-with-glob-natural-paints/">GLOB natural paint pigments</a>) and paint the entire paper tube. 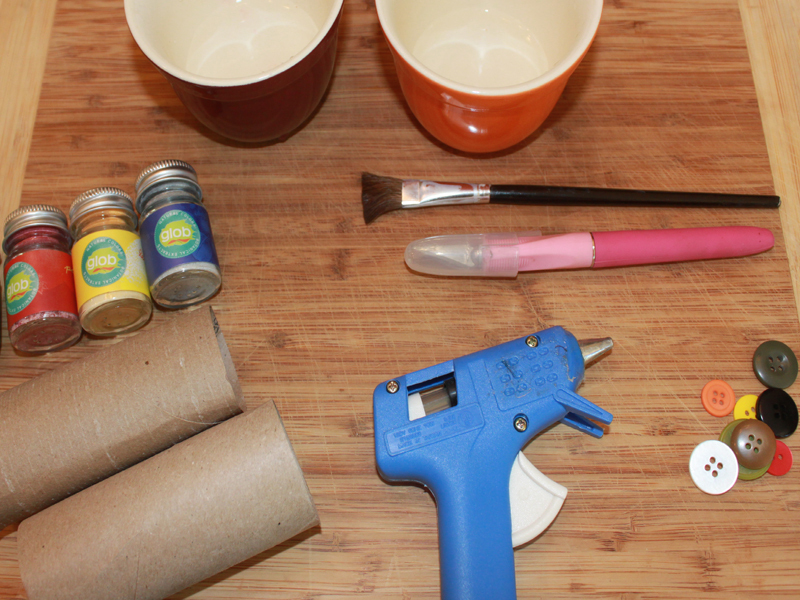 <h2>Step 4: Add Wheels and a Steering Wheel!</h2> Use leftover buttons, milk caps or any other round item from your recycling bin as wheels - just glue them on. We used a push pin and a small circle of paper as a steering wheel. <h2>Step 5: Make it Snazzy!</h2> Give your kids markers, stickers or cutouts to glue all over the car - making it their own. <h2>Step 6: Add a Driver!</h2> We used LEGO mini-figures as our driver - however, you can use any small toy that will fit. 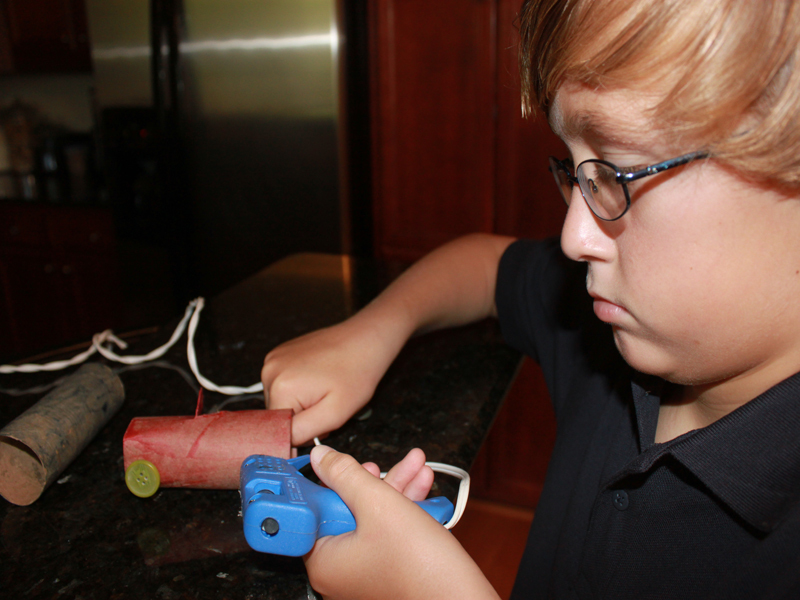 <h2>Step 7: Spend a Day at the Races!</h2> Watch your kiddos have a blast as they drive their recycled toilet paper roll race cars all around the house. After tossing countless empty toilet paper rolls into the recycling bin, we decided to upcycle them into new objects. 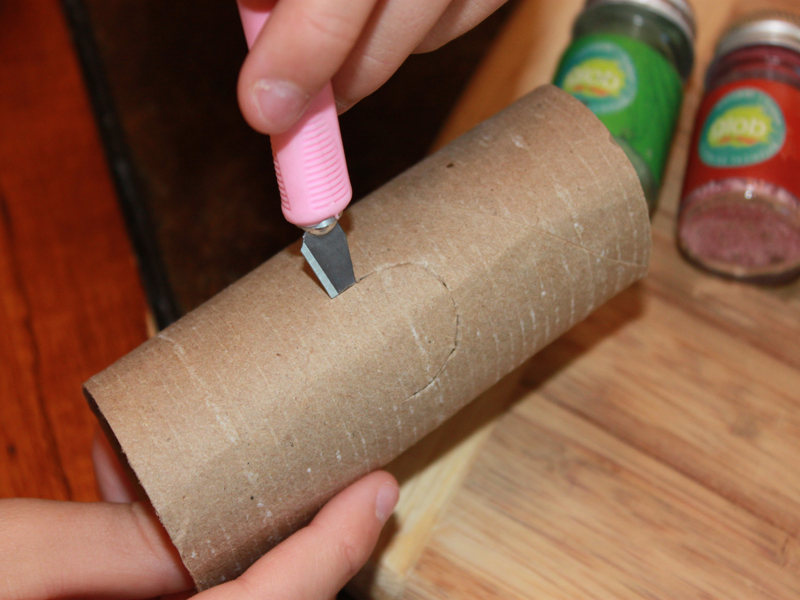 First on our list, recycled toilet paper roll race cars. My son's first idea was that they needed to be designed to fit a LEGO mini-figure at the wheel. What we discovered is race cars are fun no matter what - even if they're made from items from the recycling bin. 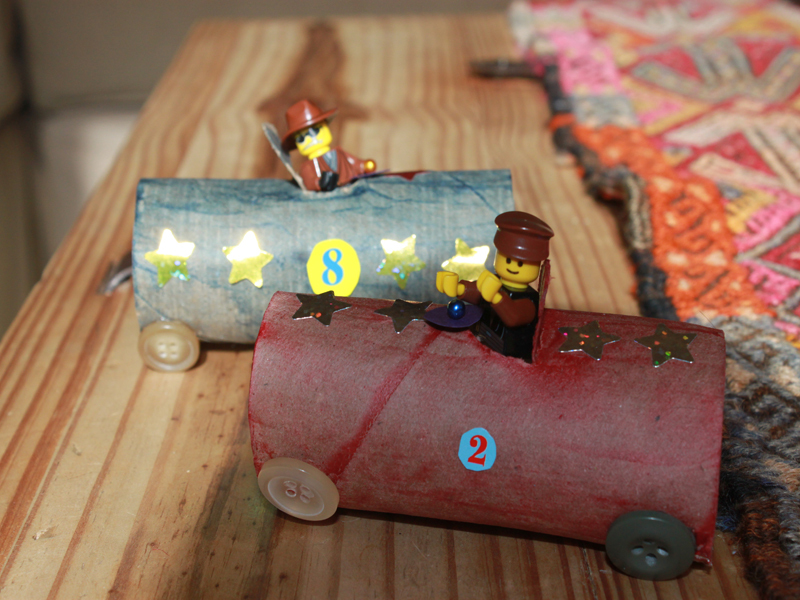 Read on to learn how to make these simple recycled race cars today.